Professor Nathalie Ros is Doctor of Law (PhD) of the University of Paris 1 Panthéon-Sorbonne; she has been laureate, both of the University of Paris 1 Panthéon-Sorbonne and of Georges Scelle Prize. Nathalie Ros is Professor under French “Agrégation” of the Law Faculties (Public Law). Professor of Public International Law at the University François Rabelais of Tours, she is also teaching International Law of the Sea at the Institute of Political Studies (Science Po) of Bordeaux, and has taught in other universities in France and abroad. Professor Nathalie Ros is Vice-Chair of Cost Action IS1105 MARSAFENET – Network of Experts on the Legal Aspects of Maritime Safety and Security, and Management Committee Member for France. Vice-Chair of the Scientific Board of the Economic Law of the Sea Institute – INDEMER (Monaco), she is also Secretary-General and Council Member of the International Association of the Law of the Sea. 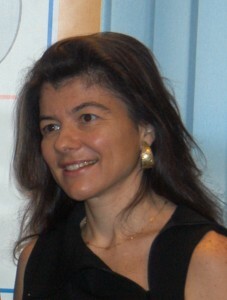 Professor Nathalie Ros has participated in various meetings of UNEP-Mediterranean Action Plan for the Barcelona Convention and Protocols; she is an Expert for the International Union for Conservation of Nature and a member of the Scientific Committee of the Foundation for Man and Nature (Fondation Nicolas Hulot). She has been or is actively involved in various international investigation projects, with different working languages (English, French, Italian, Portuguese, and Spanish). Professor Nathalie Ros is the author of a great number of publications on Public International Law, particularly in International Law of the Sea and International Environmental Law, in French, English, and Spanish.